Genuine, handmade raccoon fur rug in beige-brown. Experience the comfort of a real fur rug by Master Furrier today. Add a touch of distinction to your home decor with a genuine and trendy fur rug. We only use the finest furs and materials available to create our items. 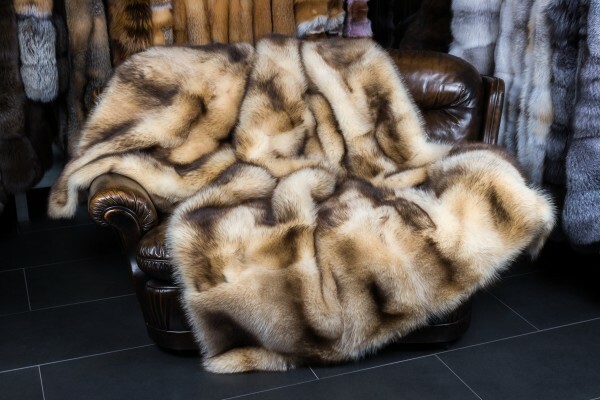 This raccoon fur blanket was designed by our expert team of furriers and tailors in Kiel, Germany. Related links to "Handmade raccoon fur rug in beige-brown"
Customer reviews for "Handmade raccoon fur rug in beige-brown"